New Delhi, Apr 11: The first phase of voting was held across 91 Lok Sabha constituencies on Thursday. Election 2019 kicked off to a troubled start with two people being killed in clashes in Andhra Pradesh, IED blasts in Maharashtra and Chhattisgarh, reports of EVM glitches and multiple complaints from voters about their names not being on the electoral list. More than 14 crore people were listed to vote in the first phase, held in 91 Lok Sabha constituencies spread across 18 states and two union territories. The votes for the election, being held over seven phases, will be counted on May 23. The Election Commission said 0.73 % of the ballot units and 0.61 % of the control units of electronic voting machines had to be replaced. Also, the commission said 1.7 per cent of the VVPATs were replaced. This is the first Lok Sabha election where VVPATs have been attached to all voting machines. Family members of BJP MLA Bheema Mandvi after casting their vote in Dantewada, earlier today. Bheema Mandvi had lost his life in a naxal attack in Dantewada on 9th April. The Election Commission said there have been some incidents where EVMs have been damaged. 6 incidents in Andhra Pradesh, 5 in Arunachal Pradesh, 1 in Bihar, 2 in Manipur and 1 in West Bengal. The Election Commission said voters in great number fearlessly used their franchise in Shyamgiri (in Bastar's Dantewada district) polling station. Turnout was 77% in this polling station. Total seizure so far has been double of that of 2014, standing at Rs 2426 crores. Out of which cash seized has been of Rs 607 crore, liquor Rs 198 crore, drugs Rs 1091 crore, metal Rs 486 crore and Freebie Rs 48 crore. 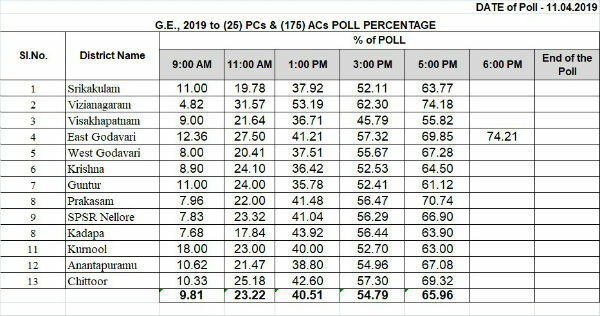 Lok Sabha Elections 2019 voter turnout for Phase 1 voting: Andaman & Nicobar Islands (1 seat) - 70.67%, Andhra Pradesh (25 seats) - 66%, Chhattisgarh (1 seat) - 56%, Telangana (17 seats) - 60%, Uttarakhand (5 seats) - 57.85%, Jammu & Kashmir (2 seats) - 54.49%, Sikkim (1 seat) - 69%, Mizoram (1 seat) - 60%, Nagaland (1 seat) - 78%, Manipur (1 seat) - 78.2%, Tripura (1 seat) - 81.8%, Assam (5 seats) - 68%, West Bengal (2 seats) - 81%. Final turnout is expected to rise, reports news agency ANI. Due to the Maoist fear, it is reported that about 15 booths in Malkangiri saw zero polling. Electronic Voting Machines (EVMs) & VVPATs being packed at a polling station in Kalahandi after voting concluded there. Chief Electoral Officer (CEO) Ashish Kundra Thursday said the provisional figure on the voter turnout in the election to the lone Lok Sabha seat and by-poll to the Aizawl West-I seat was 61.29 per cent at five pm and was most likely to go up. He said polling was peaceful and there was no report of any violence from anywhere in the state. The Deputy Election Commissioner, Umesh Sinha told reporters that the parliamentary constituency recorded a 70.67 % turn out. Naxalites attacked a police team returning after the close of polling in Atapalli in Gadchiroli. Three commandos of the police were injured in this attack. The injured were taken to Nagpur by air life. The Naxalites also fired on helicopters carrying the injured. An estimated 69 per cent of the voters in Sikkim have exercised their franchise till 5 pm today to elect a 32-member state Legislative Assembly as well as the lone Lok Sabha member from the state. There was no report of any violence from anywhere in the state during the polling of the state Assembly and the lone Lok Sabha seat which was held simultaneously, Chief Electoral Officer (CEO) Ravindra Telang told PTI. Overview of voter turnout till 5 pm. Mehbooba Mufti tweeted in consideration of the 91-year-old Khajan Singh Saini, a voter all his life, whose name was missing from the voter list today. Voter turnout till 5:00 PM in Kairana 60.3 percent, Meerut 60.5 percent and Bijnor 61.5 percent. 75 percent voter turnout recorded in Meghalaya till 5 pm. 73 percent voter turnout recorded in Nagaland till 4 pm. 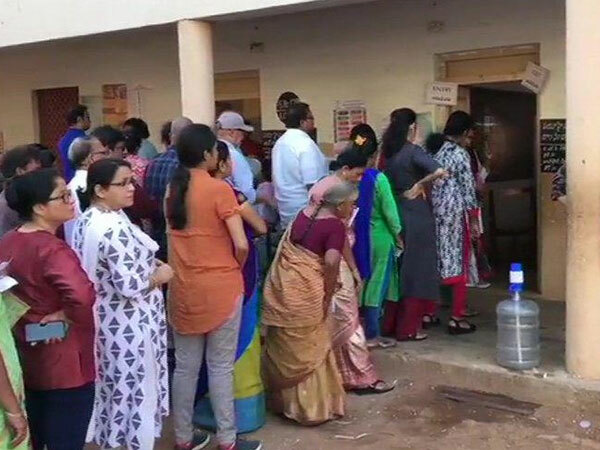 Polling for seven Lok Sabha seats in Maharashtra and the Naxal-affected Bastar constituency in neighbouring Chhattisgarh came to an end at 5 pm. Reports say that police personnel returning for poll duty in Chhattisgarh's Narayanpur were attacked by the Maoists. 55 percent voter turnout recorded in Sikkim till 3 pm. 50.87 percent voter turnout recorded in Arunachal Pradesh till 3 pm. 55 percent voter turnout recorded in Andhra Pradesh till 3 pm. 46.13 percent voting recorded till 3 pm. 46.17 percent voting recorded till 3 pm. Another clash breaks out between YSRCP workers and TDP workers in Andhra Pradesh. This time it is in Guntur. This is reportedly 10 clash between the workers of two parties. Bihar has recorded voter turn out at 38.50 percent till 3pm. 44 percent recorded in Gaya and 41.34 percent in Jamui. West Bengal has recorded voter turn out at 69.94 percent till 3pm. 55 percent voter turnout recorded till 3 pm. 68.90 percent polling recorded in Manipur till 3 pm. 46.59 percent polling recorded in Uttarakhand till 3 pm. 51.25 percent polling recorded in Lakshaweep till 3 pm. Around 41 percent voting recorded in Odisha till 1 pm. Union Minister Nirmala Sitharaman says good voter turnout is a positive for the BJP. BJP workers are extremely enthused and motivated at the good voter, she says. Telangana registered over 38 percent polling till 1 pm across 17 Lok Sabha constituencies. TDP leader Kodela Siva Prasada Rao attacked at a polling booth in Sattenapalli, say reports. A voter turnout of 41.27 percent has been recorded in Uttarakhand till 1 pm where polling is being held in all its five Lok Sabha seats in the first of the seven-phase general elections. Five Lok Sabha seats in Uttarakhand - Tehri Garhwal, Garhwal, Almora, Nainital- Udhamsingh Nagar, Hardwar - are voting today. Clashes between locals and cops over alleged fake voting in Kairana. Firing in Uttar Pradesh's Kairana district. Police lathicharge alleged fake voters, say reports. 29 percent voting recorded in Jamui till 1 pm. 37 percent voting recorded in Nawada till 1 pm. 33 percent voting recorded in Gaya till 1 pm. 34.60 percent voting recorded in Aurangabad till 1 pm. TDP leader S Bhaskar Reddy killed in clashes in Tadipatri town of Anantapur. TDP has alleged that YSRCP workers are behind the incident, say reports. 41.27 percent voter turnout recorded in Uttarakhand till 1 pm. Five Lok Sabha seats in Uttarakhand - Tehri Garhwal, Garhwal, Almora, Nainital- Udhamsingh Nagar, Hardwar - are voting today. 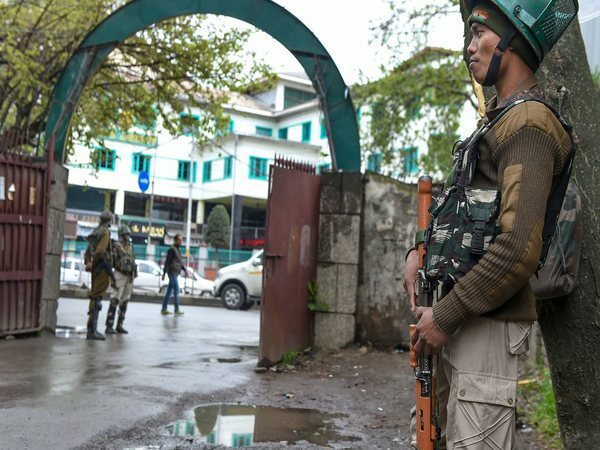 The internet has been snapped in areas in Kashmir where polling for the first phase of Lok Sabha elections is underway. In Tadipatri, Anantapur a YSRCP and a TDP worker were killed after a clashes broke out between party workers, say reports. On Tuesday, five people including a BJP MLA were killed in a Naxal attack in Chhattisgarh's Shyamgiri. 21.1 percent polling recorded in Bastar till 11 am. 70 percent voter turnout recorded in Shyamgiri till 11 am. "I am hopeful that we will be able to win this race, I am very optimistic," says Congress' Renuka Choudhary after casting vote. Choudhary is contesting Lok Sabha elections from Khammam seat in Telangana. 38.08 percent voter turnout recorded in West Bengal till 11 am where polling is being held in two Lok Sabha seats - Coochbehar and Alipurduars. 24.66 percent voter turnout recorded in Jammu and Baramulla parliamentary constituencies till 11 am. Over 6.5 per cent of the 13.12 lakh electorate cast their votes Thursday in the first two hours of polling in Baramulla Lok Sabha constituency in Jammu and Kashmir, officials said. The seven assembly segments in Baramulla district registered a turnout of 5.8 per cent in the first two hours of polling which began at 7 am, the officials said. They said Bandipora district, which has three assembly segments, recorded a poll percentage of nearly six per cent during the corresponding period while Kupwara recorded a turnout of eight per cent so far. In Jammalamadugu in Kadapa district, tension prevailed in Ponnathota village as YSRC and TDP workers indulged in stone-throwing. In Narsaraopet constituency in Guntur district, YSRC leaders alleged TDP men ransacked a polling station in Yelamanda village and damaged the furniture. Police personnel were also preventing YSRC sympathisers from entering into the polling booth, they alleged, a PTI report said. The eight Lok Sabha constituencies of western Uttar Pradesh, where polling is being held in the first of the seven-phase general elections, registered 11.40 per cent voter turnout till 9 am, an official said. The electoral fate of three Union ministers -- V K Singh (Ghaziabad), Satyapal Singh (Baghpat) and Mahesh Sharma (Gautam Buddha Nagar) -- will be determined in this phase. 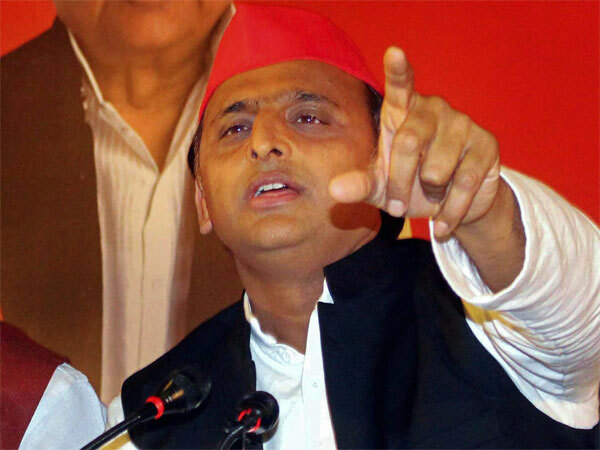 The BJP is making all-out effort to retain all the eight seats while the Samajwadi Party-Bahujan Samaj Party-Rashtriya Lok Dal alliance too is going whole hog to upset the saffron party's applecart. 41 percent voter turnout recorded in Sikkim till 11 am. 27.48 percent voter turnout recorded in Arunachal Pradesh till 11 am. 27 percent voter turnout recorded in Meghalaya till 11 am. 35.03 percent voter turnout recorded in Manipur till 11 am. 41 percent voter turnout recorded in Nagaland till 11 am. TDP writes to the Election Commission over EVM malfunction. "Likely that many voters who returned may not come back for voting even if polling is resumed after replacement / repair of existing EVMs.Therefore repolling needed in all polling stations where polling had not commenced upto 9.30 am," TDP chief and Andhra Pradesh chief minister Chandrebabu Naidu writes to Chief Election Commissioner. TDP alleges that around 30 percent of EVM's have malfunctioned. The Andhra Pradesh chief minister Chandrababu Naidu wrote to the poll body complaining that 30 percent of the EVMs were not functioning till 10 am. 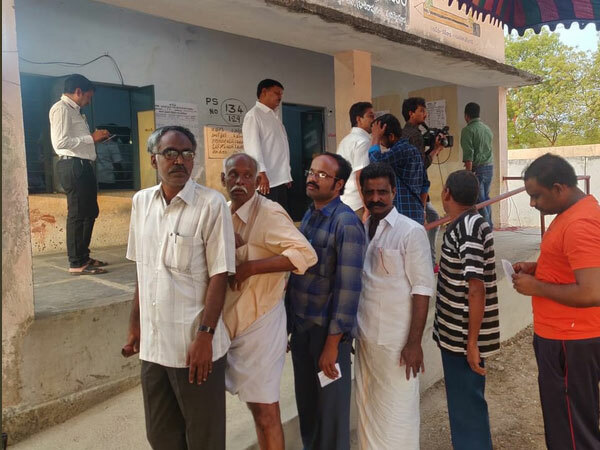 Reports say that Andhra Pradesh Chief Election Officer Gopala Krishna Dwivedi was unable to cast his vote at Tadepalli Assembly constituency in Guntur district due to malfunctioning EVMs. The polling percentage in Bandipora stood at 2.4 percent till 9 am while in Sumbal Sonawari it was at 7 percent. Only 6 percent voted in Gurez till 9 am. Till 10 am the poll percentage stands at 13.46 percent in Aurangabad, 19 percent in Gaya, 9 percent in Nawada and 14 percent in Jamui. "I am sure my margin will be better than last time," says Union Minister and BJP candidate from Nagpur Nitin Gadkari. 15.6 percent voting recorded in Manipur till 9 am. 10.2 percent voting recorded in Chhattisgarh till 9 am. 17.5 percent polling recorded in Mizoram till 9 am. 18.12 percent voter turnout recorded till 9 am. 13.3 percent polling recorded in Arunachal Pradesh till 9 am. 10.2 percent polling recorded in Assam till 9 am. 5.83 percent polling recorded in Andaman and Nicobar Islands till 9 am. 10.6 percent polling recorded in Telangana till 9 am. 17 Lok Sabha seats are voting today in Telangana. Voting is underway in the five of a total 14 Lok Sabha seats in Assam today. Polling underway across 9 ,574 polling stations in the five constituencies of Kaliabar, Tezpur, Jorhat, Dibrugarh and Lakhimpur. 21 percent voter turnout recorded till 9 am in Nagaland parliamentary constituency. A total of nine Union Ministers are in fray during the first phase of polling. Hundreds of EvMs are reportedly not working and the voting has been stalled, say reports. Jana Sena Party candidate in Andhra Pradesh has been arrested after he damaged an EVM. The accused, Madhusudan Gupta, threw the EVM on the floor at a polling station in the Guntakal Assembly constituency of Anantapur district, reports quoted the police as saying. Around 10 percent polling recorded in Uttarakhand till 8 am. The voting in the hill state began at 7 am and will continue till 5 pm. "I'm very confident, people are looking for a change, vote without fear," says YSR Congress Party Chief Jagan Mohan Reddy. Jagan cast his vote a little while ago. Former Uttarakhand chief minister Ramesh Pokhriyal Nishank casts his vote in Dehradun. EVM glitches in some places hamper smooth conduct of polls. Reports say that an EVM malfunctioned in Noida Sector 21. In one of the polling booths in UP's Muzaffarnagar, the voting has not begun owing to faulty EVM. RSS's Bhaiyyaji Joshi casts vote in Nagpur. The main contest in Nagpur is between BJP's Nitin Gadkari and Congress' Nana Patole. 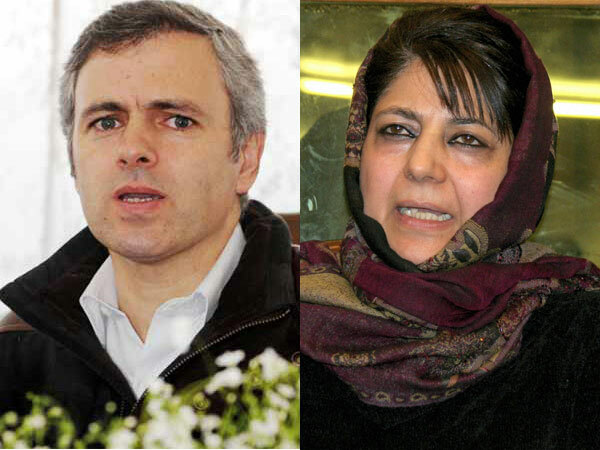 Voting begins in the troubled state of Jammu and Kashmir. Two constituencies in the state poll today. The states of Telangana and Odisha have been placed on very high alert following the attack in Chhattisgarh in which a BJP MLA and four others were killed by naxalites. Polling is on for seven Lok Sabha seats. One of the early voters in Nagpur, RSS chief, Mohan Bhagwat urged people to vote in large numbers. Kavita, the daughter of chief minister, K Chandrashekhar Rao is facing an interesting battle in Nizamabad. She is up against 179 who had decided to fight her in protest. Owing to the large number of candidates, the EVMs had to be re-worked for this constituency by the ECI. In Uttarakhand, there are 52 candidates fighting the polls today. In the first phase, the state would witness a battle in 5 seats. Can Owaisi retain his winning streak? The AIMM chief will seek a re-election from Hyderabad, a seat that has been held by his party since the past 30 years. The AIMM has the backing of the ruling TRS. Voting has begun for the 91 Lok Sabha constituencies in the first phase of the elections. Polling is being held in 20 states. RSS chief Mohan Bhagwat arrives at booth number 216 in Nagpur to cast his vote. Voters have arrived at a booth in Pulivendala to cast their votes. Voting will be held in 25 parliamentary constituencies today in the state. Voters arrive at polling booths in the Dibrugarh constituency. Polling is being held in five seats in the state. Three Union Ministers will test the waters today. V K Singh from Ghaziabad, Satyapal Singh, Baghpat and Mahesh Sharma, Gautam Budh Nagar will face the elections today. Also in the race are RLD chief, Ajit Singh from Muzaffarnagar and his son Jayant Choudhary from Baghpat. Mock polling underway at Nagpur at booth number 225. Polling will get underway shortly. Preparations are also underway at booth number 284 for the Gondia parliamentary constituency. As many as 443 candidates are in the fray for the 17 Lok Sabha constituencies. 418 are male and 25, female. There are 2.97 crore voters. There are 25 seats in AP which will poll today. It is a clear cut battle between Chandrababu Naidu and Jagan Mohan Reddy. In Assam, it would be a keenly contested battle between the BJP and Congress. In all five constituencies go to vote today. 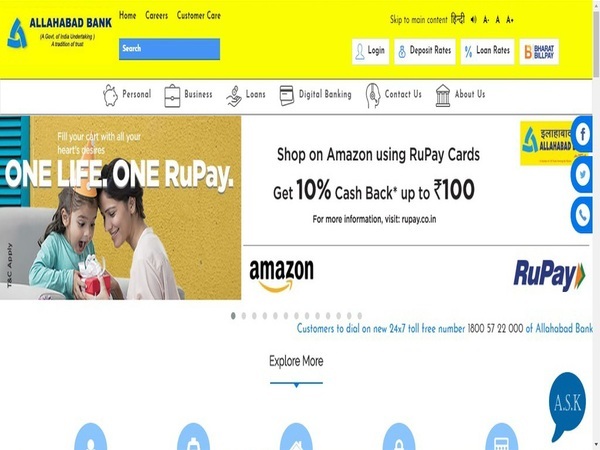 Will the grand alliance trump over the NDA? Four seats are up for grabs today. Many important areas like Visakhapatnam, Vijayawada, Guntur and Chittoor in Andhra Pradesh; Jorhat and Tezpur in Assam; Gaya in Bihar; Baramulla and Jammu in Jammu and Kashmir; Nagpur and Yavatmal-Washim in Maharshtra and Meghalaya's capital Shillong would be voting today. People residing in key places like Karimnagar, Secunderabad and Hyderabad in Telangana; Saharanpur, Meerut and Ghaziabad in Uttar Pradesh; Hardwar and Garhwal in Uttarakhand and Coochbehar in West Bengal would also cast their ballot today. Andhra Pradesh, Arunachal Pradesh, Meghalaya, Uttarakhand, Mizoram, Nagaland, Sikkim, Lakshadweep, Andaman and Nicobar Islands and Telangana will vote for all its constituencies today. 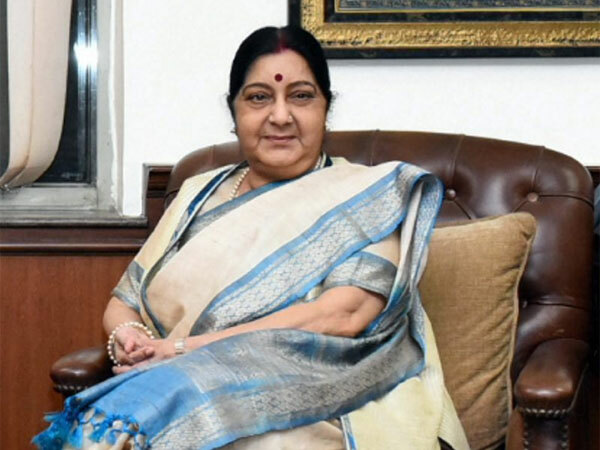 Assam, Bihar, Chhattisgarh, Jammu and Kashmir, Maharashtra, Manipur, Odisha, Tripura, Uttar Pradesh and West Bengal will vote for some Lok Sabha seats in the first phase of voting. There are 35 candidates from the Congress who have declared pending criminal cases against them. Out of the 83 candidates analysed, 35 with pending criminal cases are fighting in the first phase of the polls. 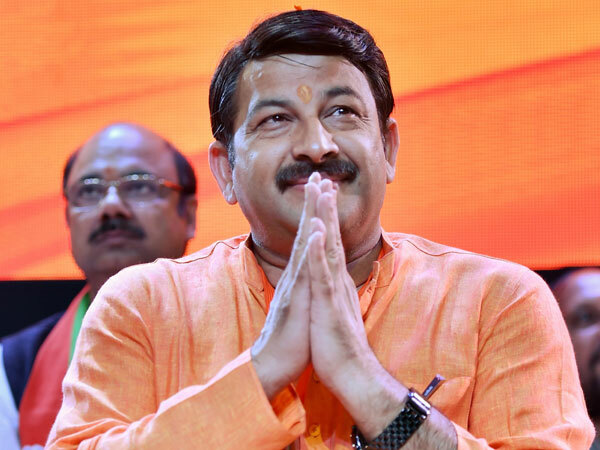 The BJP has 30 candidates in the first phase who have pending criminal cases against them. The BSP and CPI have fielded 8 and 2 such candidates respectively. The CPI (M) has 8 and the NCP 2 such candidates. The five-year term of the 16th Lok Sabha is due to expire on June 3, 2019. Chittoor, Andhra Pradesh chief minister Chandrababu Naidu native place, will vote today. Chittoor has been a TDP stonghold for over the last four elections. Naramalli Sivaprasad has been the MP from the region since 2009.